At CNet System, we specialize in Virtualized Microsoft Windows terminal server hosting and cloud hosting. Constant patching, upgrading, antivirus and backups require time and bring added cost to any small business. We take all the hassle out of managing your own server by hosting it as a secure virtual private server in our datacenter, allowing you to access it remotely from anywhere in the world. 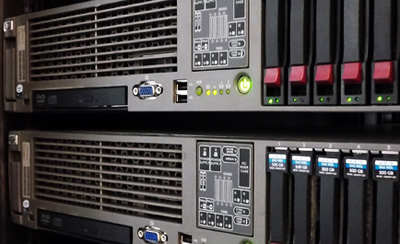 All virtual servers are kept safe on a power backup and failsafe system with secure off-site backups, ensuring reliability of services and safety of your data. All data transmissions to and from your server are encrypted, and all servers are protected behind the latest hardware firewalls. Because your server is hosted in the cloud, you can access your data and programs from anywhere in the world, allowing you the freedom to work from home or access your data on the go. We provide the flexibility you need to customize your OS, Servers, and devices without having to troubleshoot, patch, monitor, backup, or worry about the hardware and network, so you can simply use your server applications worry-free. Microsoft Terminal Servers allow you to keep your familiar Windows desktop and programs all on one central server, accessible from anywhere in the world, from any device that supports RDP. Popular applications such as the latest QuickBooks and Office can be run remotely on any computer. Computer speed does not matter, as all the work is done by the server; this can save money by allowing you to use computers longer without the need to upgrade. Documents, programs, and data are all stored on the server, so if your computer crashes, your data is safe. CNet System now offers Microsoft Office 365 hosted email accounts at affordable per user rates. No longer do you have to manage a costly and often difficult to configure Exchange server to enjoy all the benefits of using Microsoft Exchange in your company. Shared Calendaring, Contacts, Web Mail, and Outlook integration are all built in functionality of Office 365. We also provide affordable website and IMAP/POP3 email hosting services. You or your company can have your own customized email address and domain, with access anywhere through our fully-featured webmail client or any IMAP or POP3 compatible email program. Our webmail interface includes features such as advanced calendaring and mail organization, along with alternate tablet interfaces for phones, tablets, and touchscreen devices.